B210 GX is a trim package. It came with an A12S or A14S engine (single carburetor) although a twin carb engine was optional in Japan. 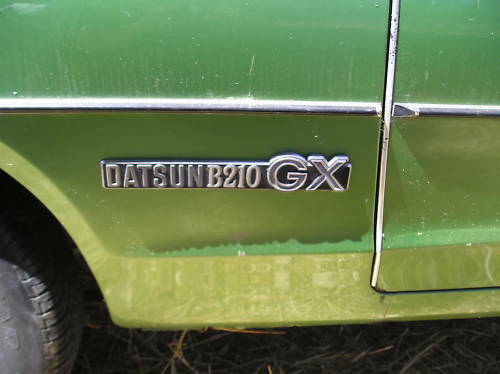 This badge was used on 1978 B210 in North America, on both Coupe DX and Coupe GX, both equipped with A14S engine.